Is This Really More Comfortable Than Your Bed? 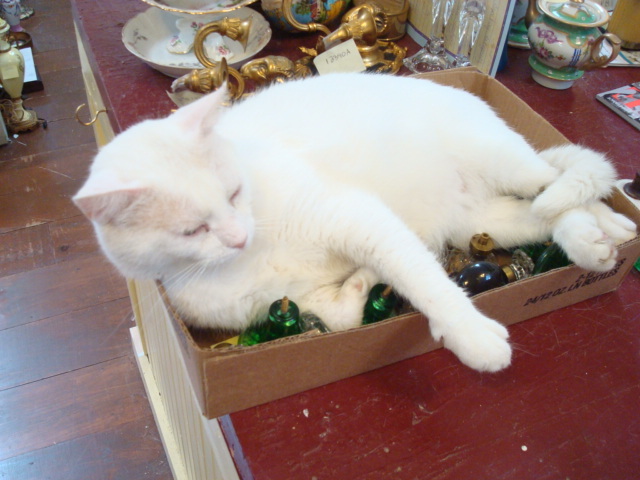 So I was busy unpacking from my latest auction visit and I had set down this box filled with antique drawer pulls, door pulls, door knobs etc…..and guess who thought it was a good idea to lay in this box? Snowball. Really Snowy!? 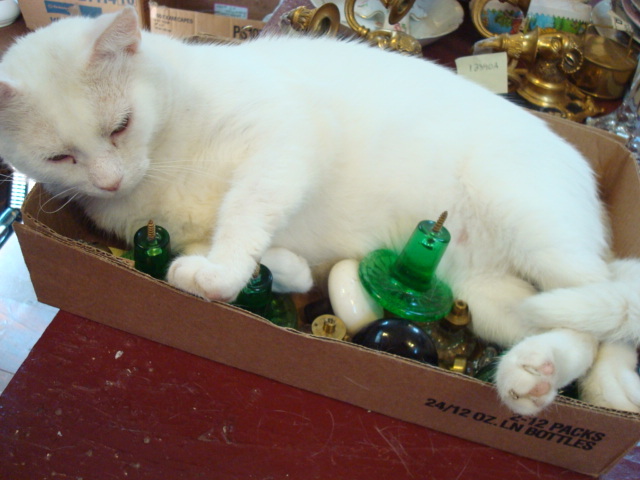 Those screws look like they are hurting you and you are free to leave the box at any time and find a more suitable place to lay…..
Or not! came in the next day and he was in the same spot! 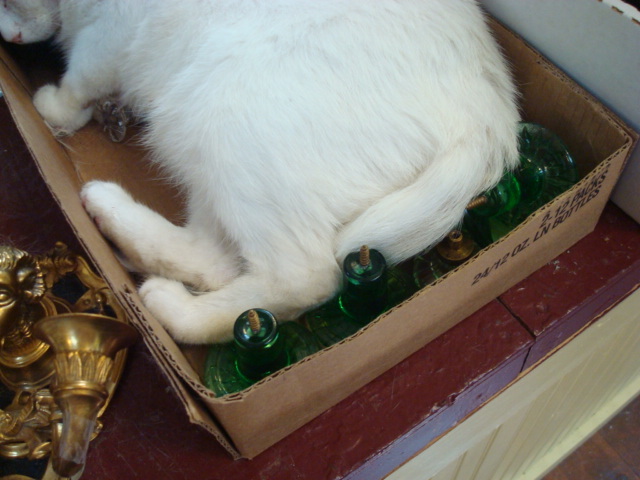 I guess there are some things about our cats we are never meant to understand. Love ya Snowy! 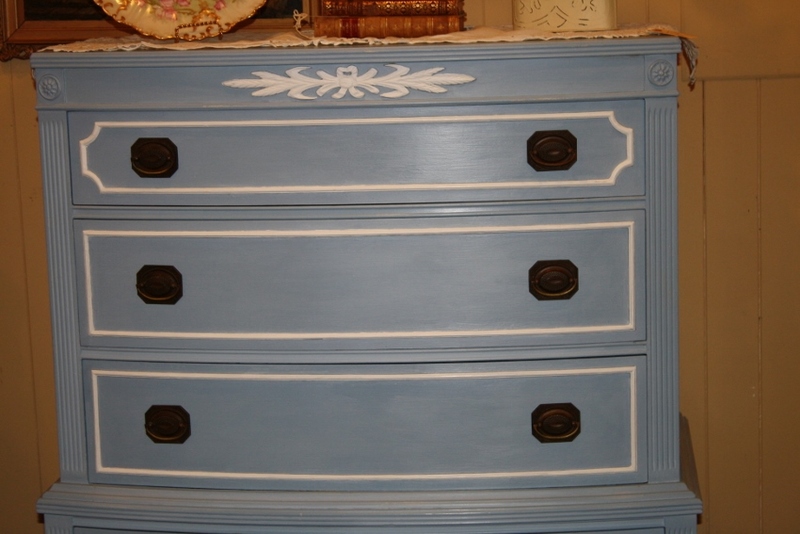 Louise Blue Dresser with Annie Sloan Chalk Paint®. 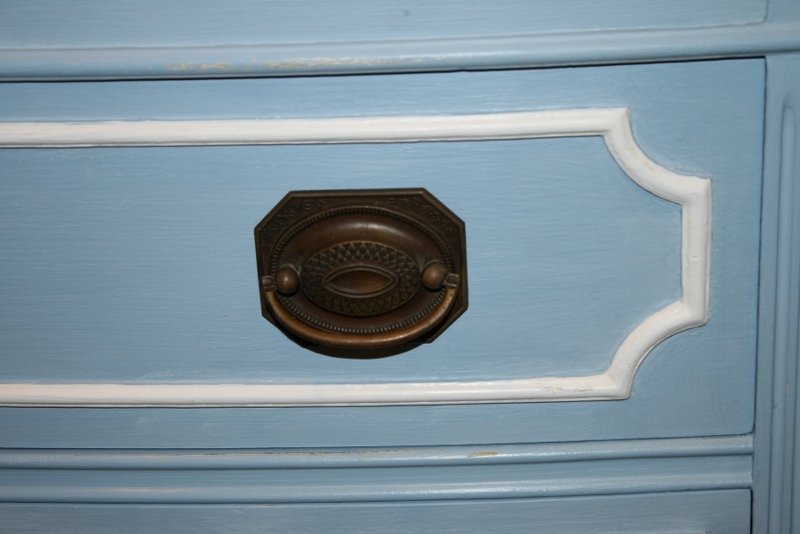 The prettiest lightest elegant shade of blue is encompassed in Annie Sloan’s Chalk Paint® color called Louise Blue. 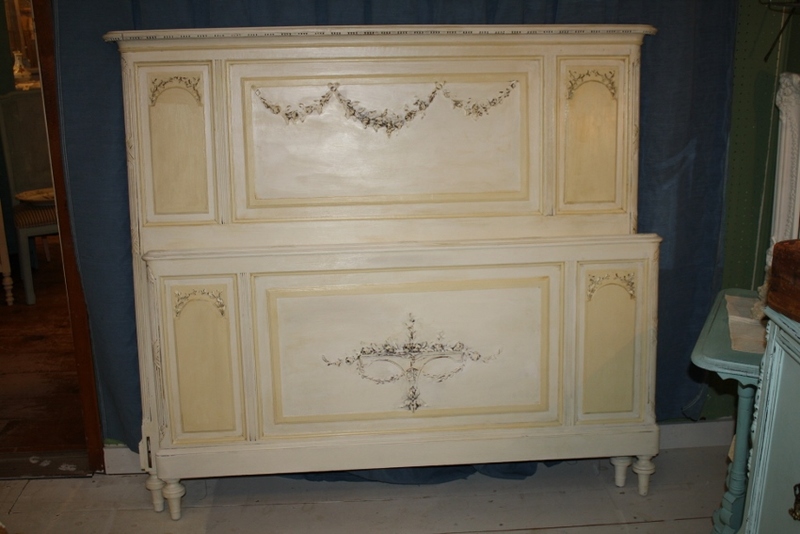 Our elegant dresser can handle all of the attention she is getting in our shop! 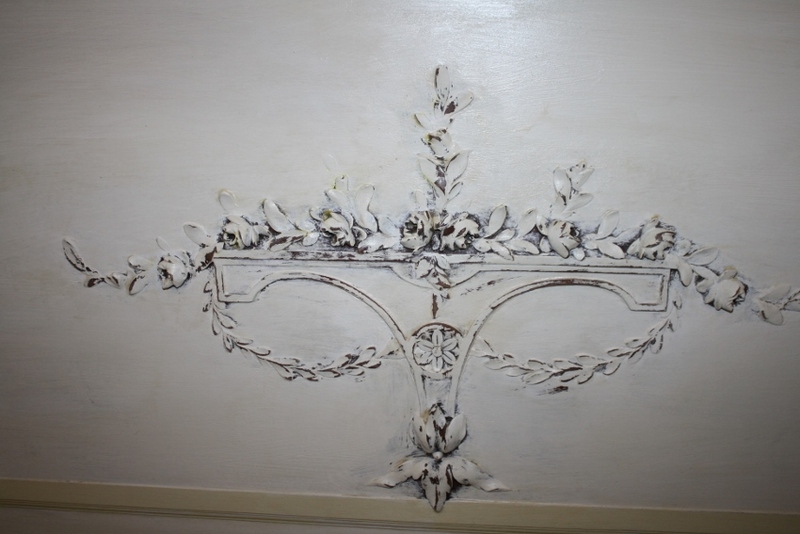 Fabulous Pure White was used to highlight her raised trim accents and her carved floral swag at the top! Just the right amount of accented..it’s always a bit of an art form finding the right balance for accenting your piece. For example, there were 2 medallions on either side of this lovely swag that we painted and when I stepped back I knew it was all wrong for her style! So, no problem, just painted right over them again with the Louise Blue! We kept the hardware nice and clean and unpainted. We think it works well with her elegant beautify and timeless look! 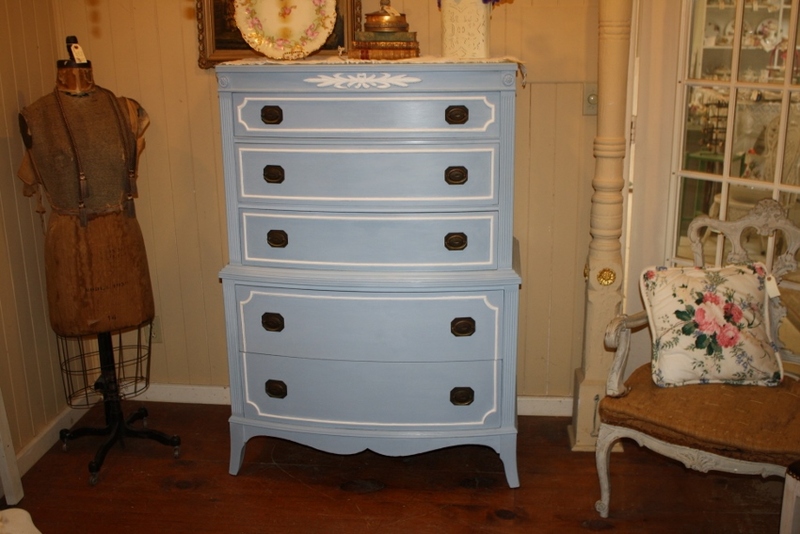 Fall in love with your furniture again, go get some Annie Sloan Chalk Paint® and dress up your dresser! 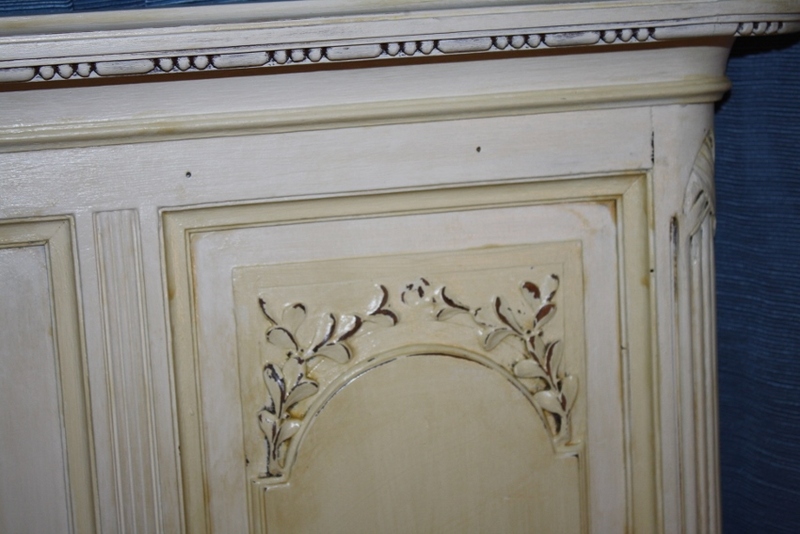 Then we distressed the amazing raised floral carving in the center and added the tiniest bit of dark wax too! This accentuated the carved floral pattern! 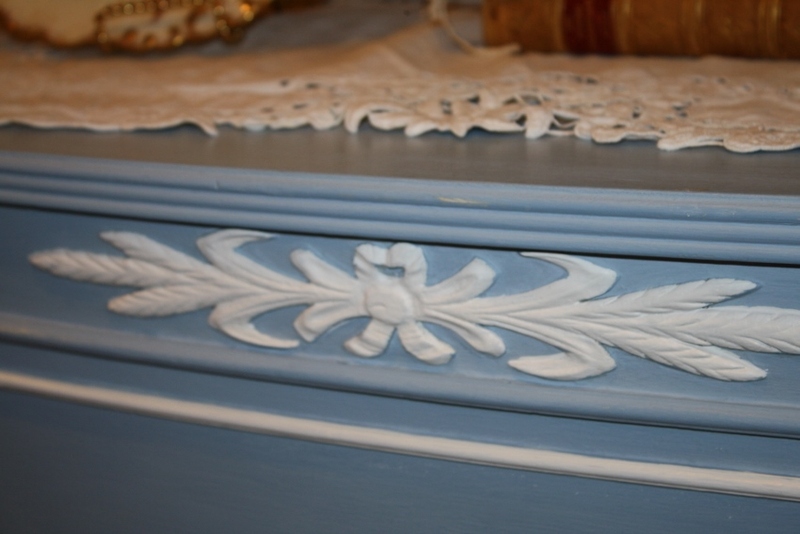 This bed was graced with amazing detailing which we took full of advantage of by outlining and highlighting different beveled and mitered edges! We love her and we miss her too because she went off the Indiana to her new home! Blessings pretty bed!